Why I'll Never Celebrate "Easter" Again. . .
while everyone else Easter promoted. her look was so blue. for which all the new dresses and baskets were bought. what once was "the way". n'er be remembered or come back to light. His blood for our souls that were dying and lost. drag God's love through the mud. and Happy Easter, remember to say. Christ is risen! It's HIS RESURRECTION DAY!! Here's wishing you all a Blessed Resurrection Day! I know it is not perfect iambic pentameter (in fact, I looked up iambic pentameter and it isn't even close! ), but it was the best I could do on short notice . . . you see, God just keeps on blessing! Today, the day after Resurrection Day, a new baby lamb was born on my little farm. All God's blessings are wonderful, but are especially poignant for me now and I needed to express myself! And since my favorite song is "Count your blessings, name them one by one" this little girl makes the current count of my small flock, 13, so this little blessing is named Thirteen. I thank my Heavenly Father for giving me my big sister. What does the birth of a little lamb have to do with it all? Not much really, except that my sister's conversation about pagan rituals and celebrating and the birth of this little lamb brought it back to mind. For Christians, this should NOT be a "celebration of Spring" and especially not "Easter", the pagan celebration, with all the commercial trappings of new outfits, or hats, or bunnies or egg hunts. Why do churches have "Easter Services"? Complete with kids hunting Easter Eggs and baskets with baby bunnies, chicks, chocolate and all. Why is it so important to not "offend" anyone? And since when did churches decide that keeping children entertained was their reason for existing? Not disappointing the kids is now the reason to turn what should be a sacred observance of the Resurrection of Christ into an egg hunt on the church lawn? Seriously? What about Christians rights and sensibilities to not be offended? Why must Christians be the ones to forego our principles, faith and beliefs? Just because some special interest group or other ideology demands THEIR right to not LIKE or agree with us? Well, it is their right to not like it or agree with it, but it is NOT their right to demand that WE stop believing or having our principles and faith just to spare their sensibilities. Christians are not trying to MAKE them believe OUR way, but only that they stop trying to make THEIR way "the law". As I read back over this, I guess it sounds rather sanctimonious, and I truly didn't intend that. Only that it struck me so hard when my dear sister and I were talking about it. 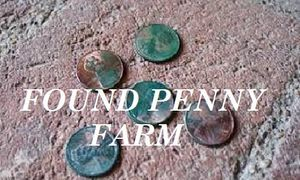 Found Penny Farm is a small, working farmstead. Providing items available during the week, all year round, that would normally only be available in the Summer months when the Farmers Market is open. Everyone knows that vegetables are seasonal ? but some items, like Found Penny Farm?s baked goods, canned items, and hand-crafted items are available all year round! In order to allow our SideBySideFarms.LocallyGrown.net growers/vendors ample time to prepare your order, please note the deadline for placing an order is 12:00pm NOON the day before your scheduled pick up time!! 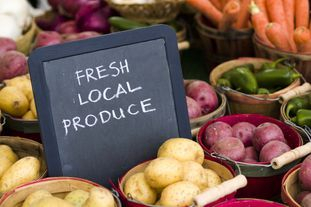 This online market is to give farmers, growers, craftsmen, bakers, artisans a way to provide the Greenville Farmers Market customers access to items which are available all year round. During the 2018 regular Market season, April 21, 2018 through September, the Greenville Farmers Market is open Saturdays from 8:00am til 12:00noon. Our Murphy Pick Up location is to provide a convenient place for customers living in Collin County to acquire the quality produce, foods, baked items, crafts and more in one place from the local growers, farmers, bakers and artisans on a year round basis. In order to allow our SideBySideFarms.LocallyGrown.net growers/vendors ample time to prepare your order, please note the deadline for placing an order is 12:00pm NOON the day before your scheduled pick up time.